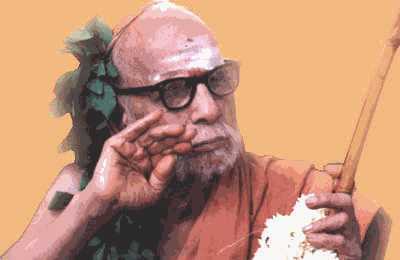 We present this beautiful Bhajan "Guruvae Nin Malarppaadam" on Sri Maha Periva. A moving rendition of the song "Guruvae Nin Malarppaadam" in Tamil - composed by Smt Mythili Kannan, Thanjavur and delivered by her along with her team of students. Part of a presentation during Sri Maha Periva's 125th Jayanthi Celebrations held at Abhiramapuram, Chennai in June 2018. For further details visit www.periva.org or www.anusham.org - please contact us at bhajans@periva.org if you want the Bhajan group to deliver these songs in your own area / Pooja - this is a service and submission offered by volunteers of Kanchi Periva Forum. We present this beautiful Bhajan "Shivaa Shankaraa" on Sri Maha Periva. Shivaa Shankaraa - Lyrics: Administrator, Kanchi Periva Forum. A humble submission at the Divine Feet of Sri Maha Periva by Kanchi Periva Forum Bhajan Group during Sri Maha Periva's Aradhana day event held at Mylapore Sri Kapaleeswarar Temple, Chennai on 02-Jan-2019.